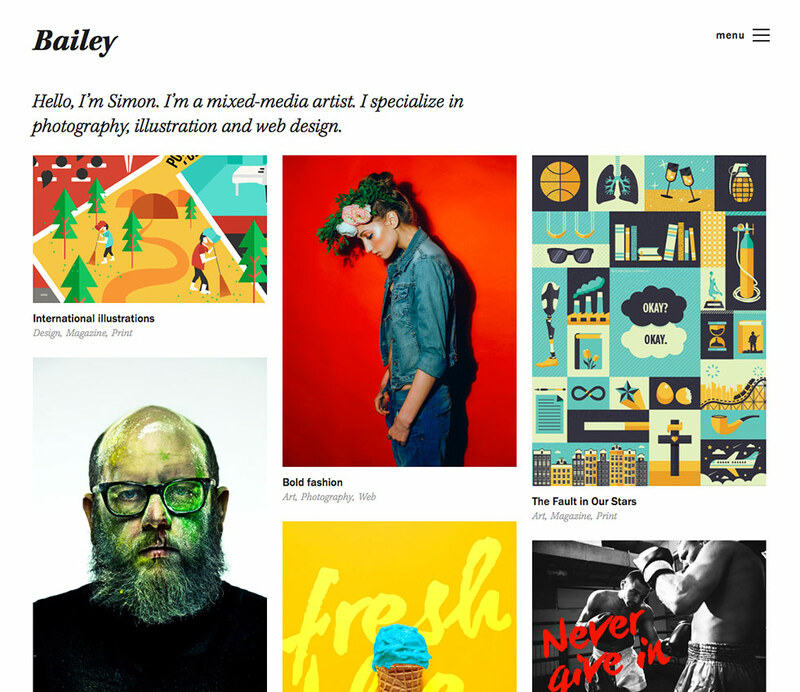 Today we’re proud to announce Bailey, a beautiful new portfolio theme. We’d encourage you to learn more about Bailey and check out the Bailey demo site. For the next 24 hours you can purchase Bailey for $59.25. After the sale ends the price will go back up to $79.00. Bailey lets you add and manage projects, which can be anything from individual photos, galleries, or videos to full brand identities and case studies. These projects can then be grouped and sorted automatically by type and tag, or manually on special Portfolio pages. Using the WordPress Customizer, you can set a comprehensive color scheme for the site, choose which views get widget areas, and customize the layout of your portfolio. Then, you can override these settings on individual projects, posts, and pages so that each one is visually in sync with its content. You can take the Customizer options for a spin on the demo! Click Try the Customizer in the upper left corner. Reinforcing the clean, minimalist look that keeps the emphasis on your work, Bailey uses the sleek, modern Franklin Gothic URW for the main font, while adding a touch of elegance to the accents with Kepler Std. Both of these come included in the theme, without the need for a separate Typekit account. Remember, you only have 24 hours to purchase Bailey for $59.25. Update: the sale is over. Demo site credit: Thanks to Risa Rodil for supplying some of the beautiful illustrations seen on the demo site. There’s an error when you hover over the portfolio items. A bright blue border appears a few pixels in all the way around. This is a design detail. 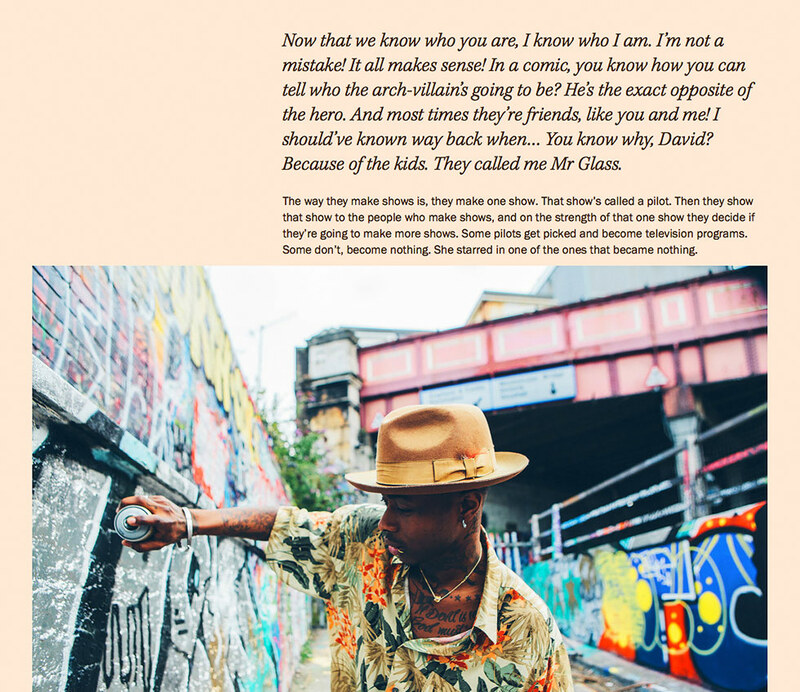 If you do not like this hover effect, you can disable it in the theme Customizer.